Bright , breezy and move in ready! New carpet, freshly painted, new cabinet doors and more. Top floor end , 2 Bedroom 1 Bath in quiet neighborhood. Property is vacant with a lock box. 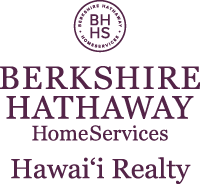 Near hospitals, schools, Art Academy and Concert Hall, Ward Center , Ala Moana Shopping Center. Easy Freeway access East and West, UH and Waikiki, and on the bus line. Seller intends to do a 1031 Tax Deferred Exchange, buyer to cooperate at no cost to Buyer. I am interested in 1069 Spencer Street UNIT 1105, Honolulu, HI 96822. Sign up for Inside AccessTM to view recent sales near 1069 Spencer Street UNIT 1105.